These are the Raid Bosses for the Ultra Bonus Event They arrived on September 13, 2018. They will remain in Raid Battles until at least September 20th, 2018. 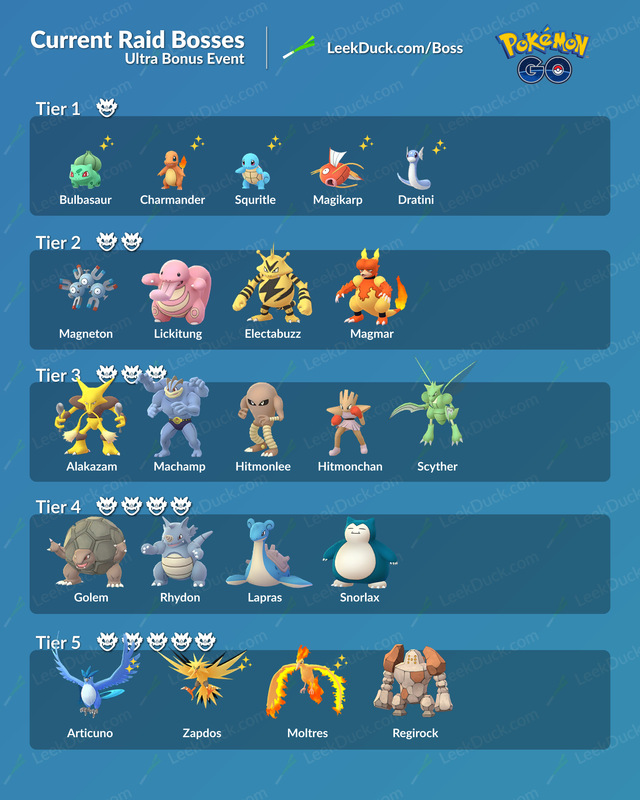 The Legendary Birds and Regirock will leave on September 20th and be replaced by Mewtwo.